If you're NEW here (and there've been a lot of new additions to the party!) I'm working on creating some tutorials to help you out. You can click on the links above or: See "Getting Started" and "Tutorials"
Please grab the button for the Weekly Challenge (on the right sidebar) to display on your blogs! share the fun! The limit of submissions to the slideshow is TWO, but please feel free to post as many as you like to your blogs. I will take the first two presented to each challenge. It has been a dismal week up here in the Skatch, sadly - it's time to face the facts that Winter is Coming. :( The last half of the week we had very cold rainy days. 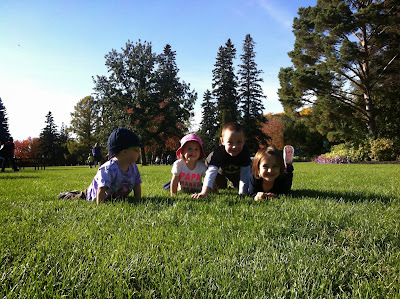 Luckily, though, by Saturday and Sunday the weather cleared up and we had some great sun. On Saturday, B-rad was putting in the last bit of work on our deck at his shop. There's only a few more things to do, it's getting so close to being done i can almost taste it! SO the boys and i brought him some lunch and had a picnic in the back of the van, then i surprised the boys by taking them to the zoo for the afternoon with some friends they hadn't seen in a while! 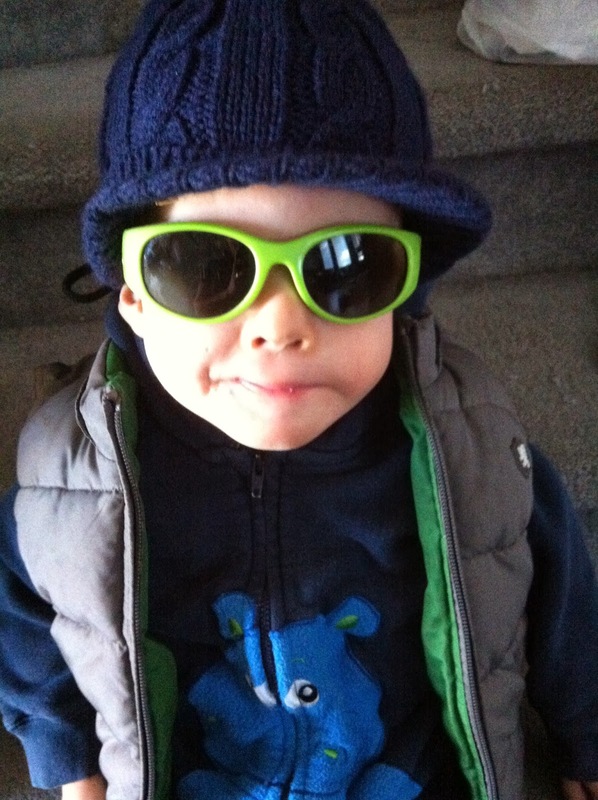 This kid is not mine. We happened to be at the right place at the right time when this handler was putting her owl back in her enclosure. 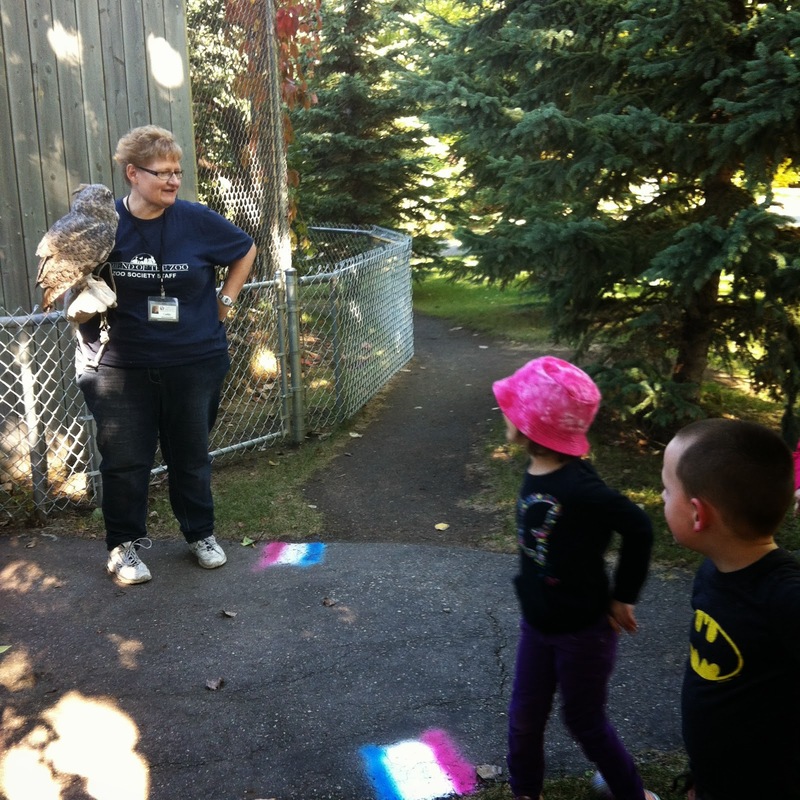 Our kids got a mini owl show and the handler told the kids all about owl gizzards and their wing span and how they hunt... and they got to see the owl eat two dead mice, it was all Chewie talked about for the rest of the day. After the zoo we took the kids to the playground to run off the rest of their energy, and i think it worked. The boys were almost sleeping in the van on the way home. 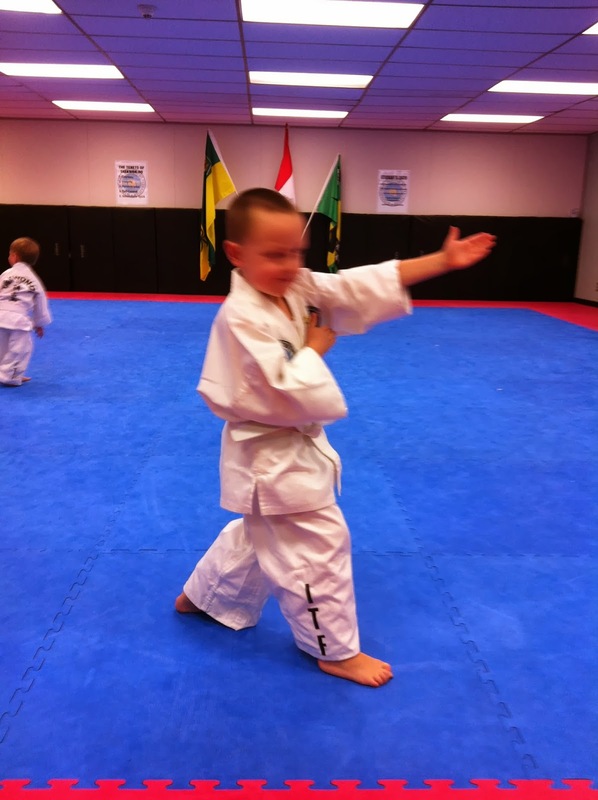 Sunday was Parent Watching day at Taekwon Do, and Chewie was only too happy to show me all his new moves he's been learning. And then after supper we all played with the Play-doh, and things... well? things got silly. 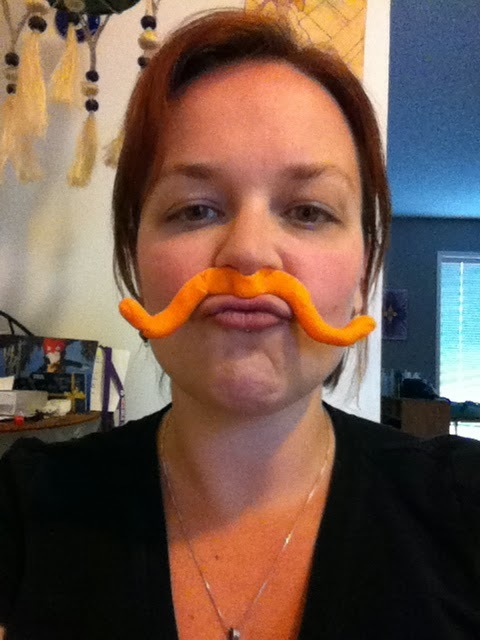 The bright pink Play-doh Monocle and adorable British Gentleman's Accent not shown. Weekly Challenge #138: "Fun with Borders"
This week, the challenge is brought to you by Maria Thomas and Rick Roberts, our Zentangle Gurus. 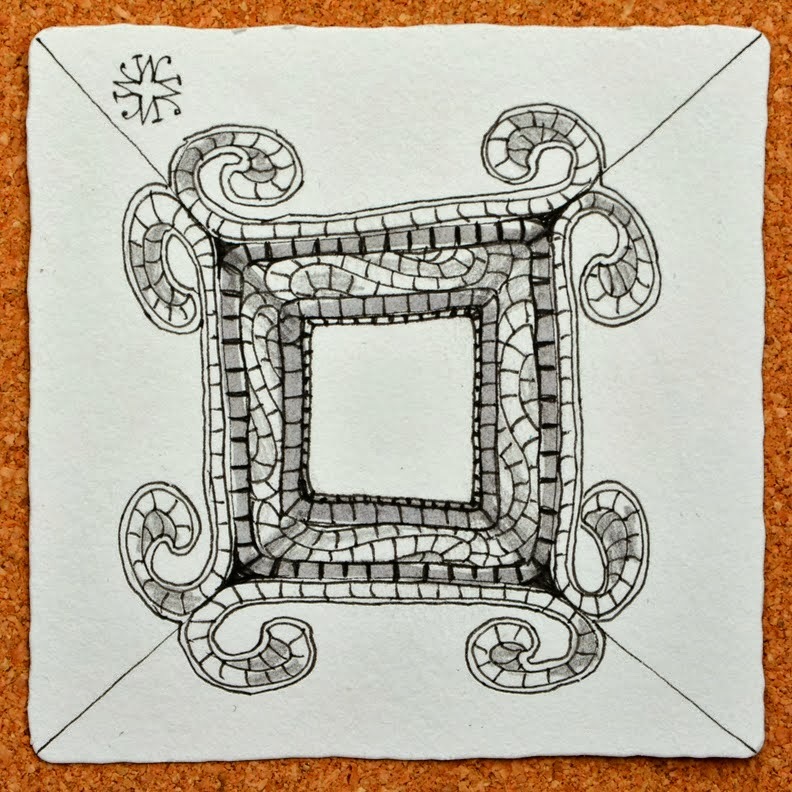 This week Maria posted on the Zentangle Blog a really great post about finding inspiration where you are, in the things that surround you... in the borders of everyday things. Her post is a beautiful collection of photos from items in her home that have gorgeous patterned borders! Borders provide their own "elegance of limits" to inspire and support. Perhaps it is the border on your ring or bracelet . . . or the tooling on your leather shoes, or a book binding, or the table runner under the flowers, or the gingerbread on an old Victorian house on the corner, or the elegant gold pinstriping on that old Singer sewing machine, or the multicolored piping around the pillows on your favorite chair, or maybe . . . maybe it is in your memory, of places warm and comfy. Next, in your mind's eye, play with how you might deconstruct these images into the fewest and most easily recombined elemental strokes (see page 1 of our book). Finally, put on some water for tea, grab your tiles, pencil and pen, and enjoy! I hope to have some time to create and post my tile for this challenge, possibly when i'm.... AWAY ON A WEEKEND YOGA RETREAT!!! you guys, seriously, oh my glob. i'm so excited! i'm taking a much much much needed me-time yoga vacation just outside of Edmonton, AB from Friday to Sunday night!! Woo hoo!! I couldn't be more thrilled, and thankful that B-rad offered me to go on such an amazing treat. Last week i celebrated 1,000,000 views and then this week i received my advance copy of The Beauty of Zentangle! I have a piece in the book (page 138), and i was thrilled to see it in print!! I'm even MORE thrilled to tell you that i've been given THREE copies of the book to give away to my readers, as well as TWO sets of Tangle Cards by Sandy Steen Bartholomew! All courtesy of Design Originals! Happy 1 Million everyone!! It wouldn't be possible without you guys. 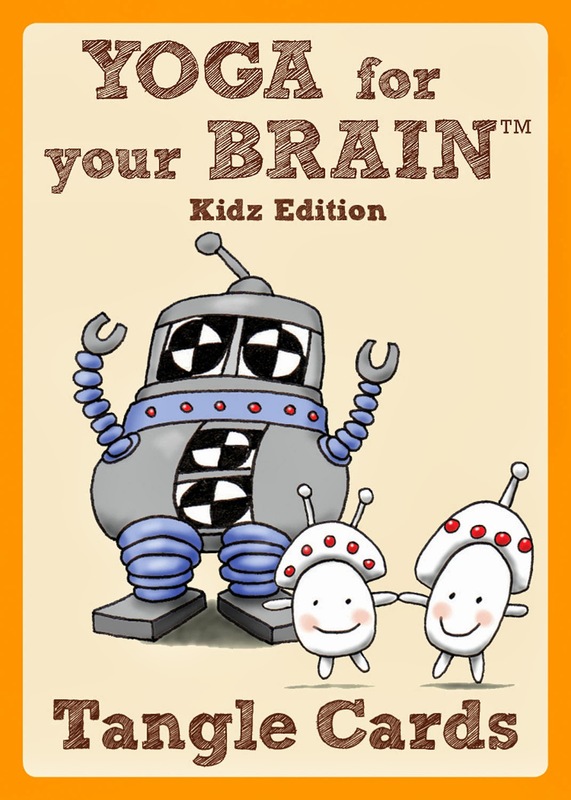 I know that many of you CZTs will have your own copy already and may not want to enter, but if you would like to be entered in this giveaway please leave a comment below saying: "I wanna win!!" and tell me how long you've been doing the Diva Challenges, and if you have a favourite. Also, please leave a valid email address so i can get a hold of you!! i will select the winners sometime next week after i return from the yoga retreat! Have fun with the challenge!! And thanks Maria and Rick, thank you Design Originals, and Thank you to all of you who keep coming back every week, lookin' for more Zentangle Love!!! The "deadline" for each weekly challenge is Saturday night so that i can round everyone up by Sunday. What this means is that i will stop adding tiles to the slideshow on Sunday. You're still more than welcome to do the challenges and add your name to the linkey machine. I will be more diligent with the linkey machine - by editing out the ones that don't work, the doubles, the links that lead to nowhere, the links that go just to blog home pages (this is why we need those site specific urls), and the spam. And there is some spam. PLEASE do not put your *home* page in the linkey machine... please? for me?? Oooo! I wanna win!! I've been doing the Diva Challenges (off and on...) for about a year and a half. Can't really pick a favorite--they're always fun and the best part of my Mondays! I wanna win! I just found the Diva's challenges this year so I don't have a favorite challenge, for me the fun is just participating, especially using tangle patterns I don't ordinarily use. I wanna win, too! I have only been doing the challenges for about a month or so. My favorite one so far, and admittedly the one I found most difficult, was the non-dom challenge. Those little left handed bales really made me slow down and concentrate on each little stroke. 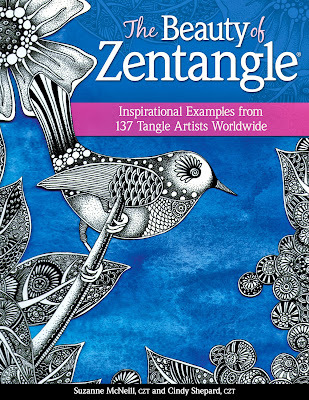 A dear friend of mine told me about Zentangle and all the lovely blogs out there. The first time that I participated in a challenge was at the end of 2012 I think and before I knew about Zentangle I would have never ever even considered it because I always felt that I have to compare myself with my mum (believe it or not but she's a crafting guru) and that I have to be at least as good as her. ^^ Today I'm not doing that anymore and I think she really likes what I'm creating. It feels good. My favorite challenge was #122 "Grid unlocked". I needed a while to understand it but it was fun and the possibilities were endless. I have only been doing your challenges for a short time, but I love doing them! I don't have a favorite yet... honestly the main reason I enjoy them so much is it makes me slow down and do at least one or two doodles a week. I love the Challenges and congrats on that amazing number of folks following this challenge blog! WOW. I've been onboard for about 6 months I think. I wanna win! I am in the book myself and received my copy but I would surely be glad with Sandy's cards. I follow your Challenges from the very start and hardly missed one. I like it most when you make us do a monotangle or a duotangle. Hope you enjoy your yoga event. You surely deserve it. Glad your husband knows that too. I wanna win! I think I started challenges around number 5. I was faithful for the first year but while I always check in every Monday, I haven't been as faithful at doing them lately. I am hoping to get back into the swing of things though. I'm off to work on this weeks! I would LOVE to win! Imake your beaytiful challenges since number 80 and its difficult to choose wich one i like the most!I like duotangles but i like also tangle in a string. And nr 100 dance or 118 Kuke or 122. I love almost everything you give us as challenge. I hope you never stop! Thanks. So much fun! I just must say that I have enjoyed your challenge from almost the beginning of their arrival on the blogspot world and I love them......hummmm.....I think my favorite is the non-dom. We are experiencing the beginnings of fall also.....good and bad. 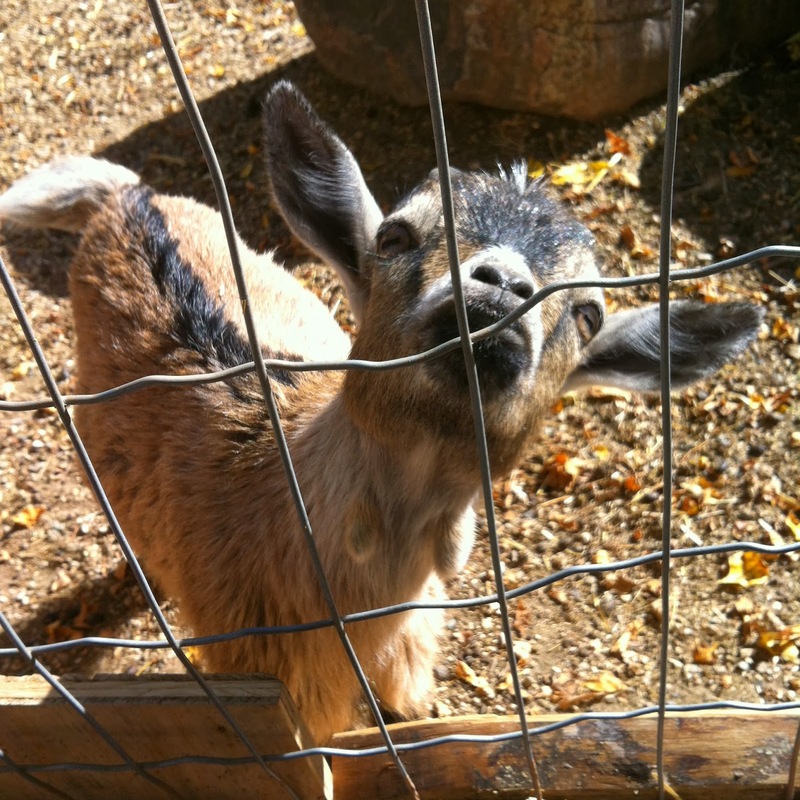 I love the photos and the zoo.... I always look forward to seeing what you have been up to in your amazing life! I think Challenge #12 or #13 was the first I joined. Every Monday I am looking out for it. Thanks to you Laura I'm always motivated to draw. I very much admire how you find inspiration to give us a Challenge every week. My favorites are the Duo tangles, they make me use tangles that are sometines not my favorite, and let me feel how nice they can be. Thanks ! I would love to win a book. I've been following your challenges since approximately #40. I enjoy being able to stretch in my drawing practice and love your family stories. "I wanna win!! I started backwards with the first one then then realized I want to try and pick up with everyone else. so its bee on and off for about two years . and I really love seeing what others come up with . its awsome! I wanna win. I just found out about the Diva Challenges and plan to start doing them. I am just learning and am so impressed with all the beautiful work that everyone does. "I wanna win." I began following your blog around challenge #11. The first one I responded to with a post on my blog was #13. I don't know that I can pick a favorite. You inspire me every time I drop by. I am also inspired by all of the beautiful work shared by others in the Zentangle community. Thank you! "I wanna win" My first challenge was #68 and I have been taking part since May 2012. I really enjoy the Monotangles as they make you use a pattern in different ways. Having said that I enjoy all of the challenges. I wanna win! I have only just started your challenges. I wanna win!! woods.meg@gmail.com. I started with Challenge #128 but took awhile to enter it. My favourites have been the nondomonotangle and the tipple challenges! I started doing these last year, and my favorite is usually whichever one I'm working on at the moment. I wanna Win! Been watching excitedly for Monday's to come so I can see the challenge and try to do it. For as long as 2.5 or 3 years. My favorite? Too many to report. My email is janiejoey@hotmail.com. Tried to send a comment, but was very difficult. So had to go anonymous. Made mistakes and decided to try again. I'm quite new here, this will be my 5th...and I'm new to Zentangle, so I would love to win! Unfortunately I live in Italy (Rome) and you didn't mention whether the prize is up for US residents only...well, I give it a try anyway! Yes please "I wanna win"
I believe I started back in January 2013 but didn't have my own blog until February. 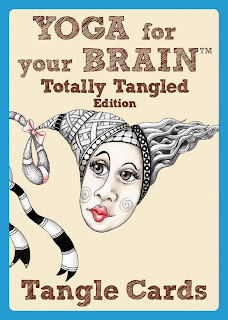 My friend Beverly Gotthardt at http://www.gottheartart.com/ post my tangles on her blog since she got me started tangling. Since early spring 2012 I do your challenge every week and I'm always so curious what you come up with. I am so glad that you do this challenge and I am also pleased to have met a lot of beatiful people from all over the world. I also have learned a lot by doing the challenge. All the posts about you family are great, especially your boys. I really wanna win!! I have been a fan of your site since around challenge 49 or 50. Yahoo! I haven't missed a one and even went back and started playing "catch up" in my sketch book. I wanna win! But more than that, I want to give you a great big hug for doing this every week! My first challenge was #24--stripes, and I've done nearly every challenge since (although sometimes late, and occasionally I don't even get them posted.) My favorite??? That's a tough one. There are so many! I particularly liked "biggify" because it really did open my eyes to new looks and possibilities. I love coming to the challenge every week. You've created a wonderful, supportive community where I've learned so much. I guess that's because YOU ARE THE DIVA!!!! I've been following your challenges since...I'm not sure! I think the first time I found your challenge was when you used a video with Artoo - he was pretty little then. My favorite is your first...Simplicity! My Blog's been a mess and I haven't been adding my Challenges in it since May. 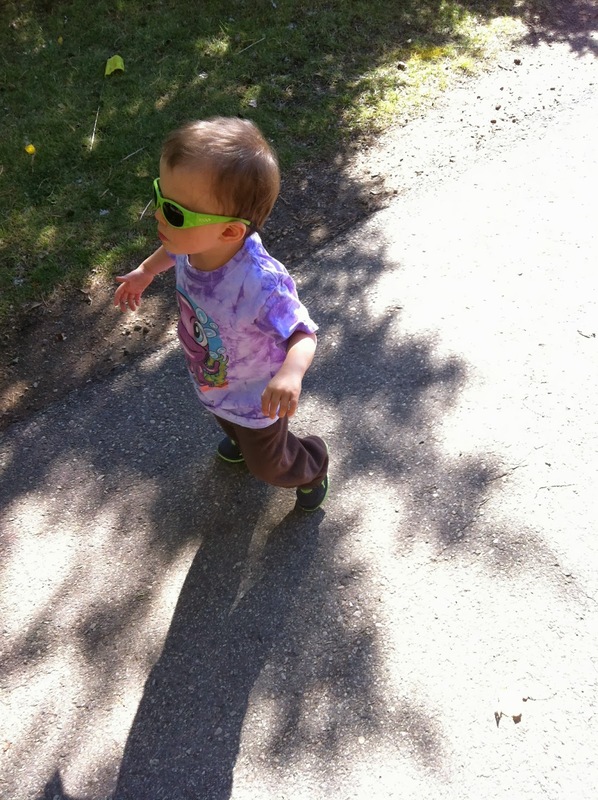 I've been following your blog and challenges since September 2010. I discovered Zentangles in the Summer of 2010. It is tough to put it down! Now I look forward to Mondays, because that's when you put out the new Weekly Challenges. Mondays use to be grueling to me because of having to get up early int he morning for work, 5 days in a row. Lately the weeks been ending quickly and before you know it, Ms DIVA comes up with a new Challenge. I wanna win! I am pretty new to all this. I only discovered zentangles a couple of months ago. I'm having so much fun and now I'm ready to try some challenges. I really wanna win! I'm fairly new to Zentangle, but since discovering your blog I look forward to your weekly challenges. It's SO interesting to see how different everyone's interpretation of the same challenge can be. And you yourself are a real inspiration! Yes, I wanna win! I love your challenges, and have been doing them since......ummmm, since Challenge #2! My favorite? I think it's the non-dominate hand ones. I surprised myself both times. I do enjoy all the challenges (or at least most of them). It's great to expand the mind. Thanks so much! ooh, I wanna win the tangle cards! Been doing the Diva challenges (on and off) for about a year. Fortuneteller was my favorite, hands down. I loved that one. I've been doing the diva challenges since Nov. 2011 when I started finding out about Zentangle. I think my first challenge was # 48 - tri-shapes, and it still is one of my favourites and I use three shapes as a string quite often. But saying that, I also love/hate those challenges that make me at first think "yuck" or "no way", but then I do them.... and feel so accomplished for pushing myself out of the comfort zone. All the challenges are wonderful and I learn and stretch with each one!!! I wanna win! Been doing Diva Challenges since June 2012. I look forward to being inspired each week and seeing the creations of the others who participate. If I'm lucky enough to win, you can reach me at: ronniesz@aol.com. I wanna win, too! I've only been doing the Diva Challenges since some time in July. I have no particular favorite; I just look forward to the challenge every week, and a chance to try new things. If I'm lucky enough to win, my email is audrie@comcast.net. Oh my, yes I wanna win too! My very first diva challenge was #83 and since then I fell in love with zentangle and I'm looking forward to the challenge every monday. My favorites are the one s where we have to use a certain tangle, because they make me inspire to do new things, and especially the ones where I think Yak at the first peek. I'm always surprised by what I can do.... 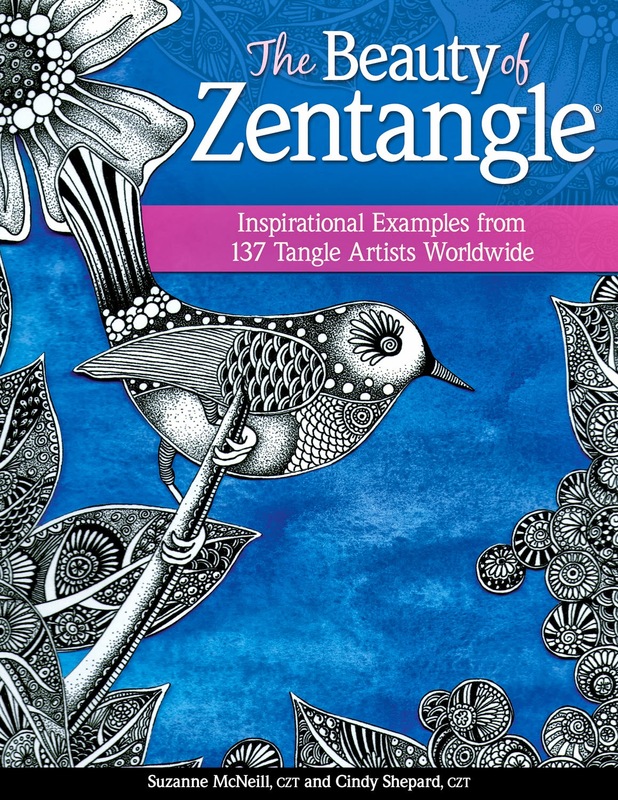 Thanks for all those great journey's throug the zentangle world! Oh yes! I wanna win!! I discovered Zentangle in May 2013. And for me it was a wonderful new experience!! My dear daughter encouraged me to create an own blog. Since this time I have met so much nice artist friends in blogland. Their wonderful tiles and Zia´s gave me so many inspirations. Also their many friendly comments reassure me. Without the challenge this one wouldn't be possible. Thanks you, Laura, for your imaginative and creative challenges every week! The weekly challenge #123 was my first one. It was a very special one! Since this time I´m looking forward to your every Monday. I have no special favorite but I do like the variety of the challenges. Monday has gone! My email is kathyalexander@hotmail.com. If I win, I am happy to contribute to postage! Happy 1,000,000!!! Good for you, making all those great memories with your sons. They will long remember the owl eating the mice and your playdough mustache! I WANNA WIN!!!! I have only recently started Zentangling and I am hooked....the world seems to melt away while that pen is meeting paper. I have a sketch book that I tangle in, it keeps them all in one place and I can grab it "tangle" on the run. Congratulations on you 1,000,000 views, here's to 1,000,000 more! I wanna WIN!! I've been doing the challenges for about 6 months. Still very new to zentangle, but LOVE it. My favorite so far has been the color challenge. I wanna win! the book (or the cards) I have been doing your challenges for about 6 months, since I started my own blog. My favorite was Henna Drum because it made me realize how much I like the tangle. I am a CZT but don't have any work in the book, and would love a copy. I want to win! The prizes are awesome, Laura, and so great to see the support from the Zentangle community in recognizing your achievement and hard work. My first challenge was #93, Bunzo, and I was so excited! Although I have only managed one or two challenges in the past few months, I have really, really enjoyed every one. I think the challenge I enjoyed the most, because the interpretations were so incredible, was #109. I don't remember what the "technique" ended up being called, but I think of it as "pole bending". It was a big stretch for me, which is a large part of why I enjoy your challenges so much. My email address is h.character@gmail.com (Elizabeth Cline Beveridge on FB. I wanna win! I've just recently signed up for your newsletter and so haven't participated in a challenge yet. In reading some of your previous posts I think the challenge of using tangles that I wouldn't normally gravitate to would be one of my favorite things. Thanks for the opportunity to win and for doing all you do for Zentangle! I think i started about a year ago, but used to email them to you, then finally got the courage to start a blog this summer. Don't know if I have a favorite per say, all of them have been interesting, and some a stretch, but also lots of fun. I would love to win! katea@mchsi dot com. 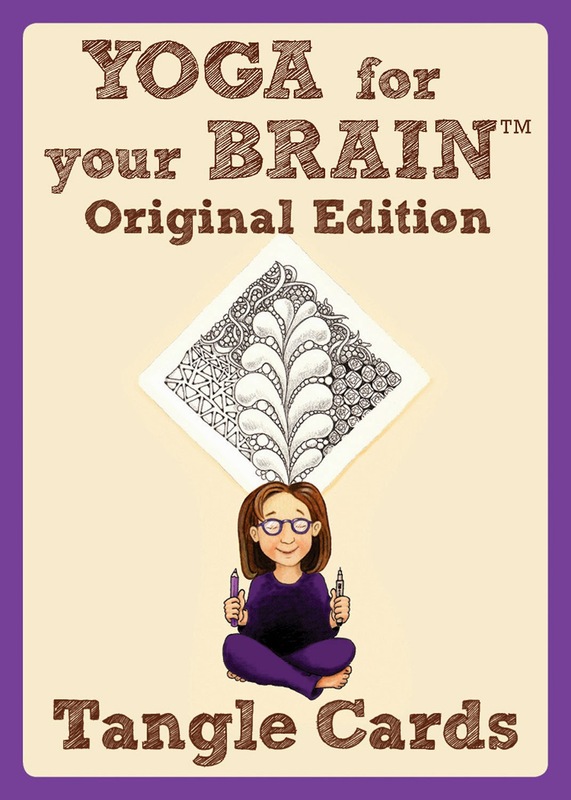 I forgot to mention in my original post, that I already have 2 packages of the Yoga for your Brain Tangle cards, but I would love a copy of the book. Thanks again for your great challenges and blog. I wanna win! I have only been tangling for about a month yet have found both Tipple and Hollybaugh to be my go-to tangles. This is only my second challenge; they are so much fun it sure won't be the last. Congratulations on your page in The Beauty of Zentangle'!! I'd love to win! LIke many others... I did my first Zentangle in April 2013 and my first challenge late April. My favourites are the ones I get to...! Actually, the one after your Calgary visit before the floods. Or maybe the stars...? I love that the challenge gets me going. "I wanna win"! Hi Laura, I have to get my hands on that beautiful book! I am very new to the art of Zentangle and have only done your two recent challenges but have been browsing for the past month or so. Eventually plucked up the courage to submit something! Thank you for providing these challenges, otherwise I would most likely not push myself. It's hard to say which challenge is my favourite obviously, but I wish I had taken part in the Tipple and Hollibaugh as I have been playing with these quite a bit recently. My e-mail is bnmturbanik@gmail.com. Love your challenges... been doing them forever it seems... Like Jane, my favorites are also the non-dominant hand ones. I always show those to my students, and the beauty one gets from shaky lines! I have the new book, but I wanna win! the cards... I'm teaching an after school program this fall and I'd love to have some of these as giveaway cards for my kiddos there! Thanks again for all you do! I wanna win! I first picked up your challenge back at number 13, but for a long time was too shy to share my Zentangles. A lot of what I learnt came from looking at the Zentangles that everyone put up each week. You've made a great teaching tool! I love your blog, and even when I don't feel like participating I still read every week to keep up with your wonderful family. My favourite challenges are the UMT series as they push me to experiment. I wanna win! I have been doing zentangles for around 4 years and have been an on again off again kinda tangler as life gets crazy and other crafts step to the front for a while. I'm just getting back to it and the first thing I did was go looking for your blog to get some inspiration! Cheers! fiddlesticks! I forgot my e-mail addy!! sbergeron00 at hotmail dot com Thanks! I wanna win also. Seems that the chances are getting slimmer with as many people as have entered. I have not been doing the challenges that long. I started with #87, the Pin wheels challenge. I started right before I went to my CZT training. Had known about it before from my sister's involvement. She was in CZT 4 and the one that got me involved in this art form. I try to do as many as I can but there are times that life is too busy. They challenge me to try things that I probably would not do on my own. Hope to participate for a long time. If by chance I do win e-mail is drwilka AT gmail DOT com. Congrats on having your art included in the book. I wanna win! I started with challenge 100! I love tangling! Congrats on the views and being published! It is hard to pick a favorite! I have so many. If I have to pick it would be the double line string. That forced me to leave my comfort zone big time! Thanks for the chance! I wanna win! I've been enjoying your challenges for about a year now and love every one of them! Thanks for all you do for the Zentangling community! I still so wanna win! I just realized I didn't include my email inside my post! I hope my entry is still valid. Here it is: bessamys -at- gmail -dot- com. Thanks for the chance! !!!! I would LOVE TO WIN !!!!! 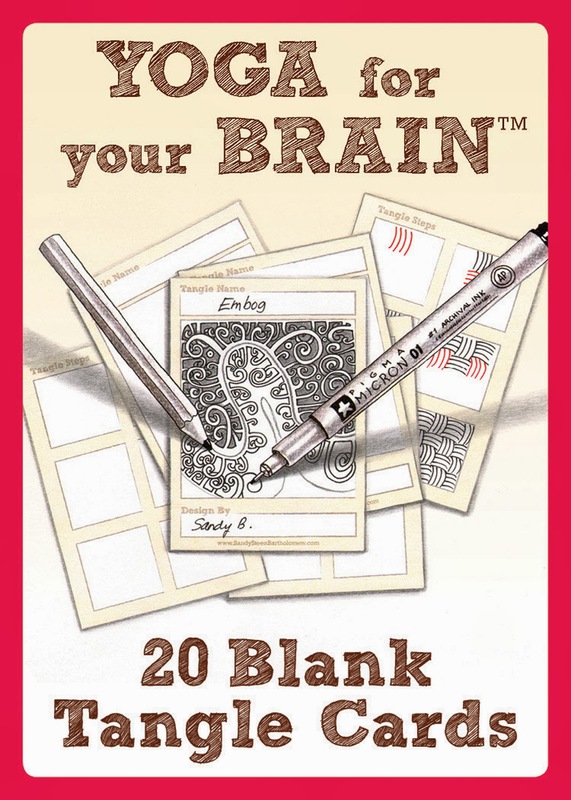 Tangling changed my life! Cannot geft enough of TANGLING !!!! YES, I admit it.... I am hooked!!! tangle me some zen, baby!! The Diva tries her hand at wifedom and motherhood and dabbles in artsy things. She is a Certified Zentangle Teacher. I am a Certified Zentangle Teacher in Saskatoon, SK - one of a handful in Canada. If you are interested in learning about this art form or attending or hosting a class, please don't hesitate to contact me! 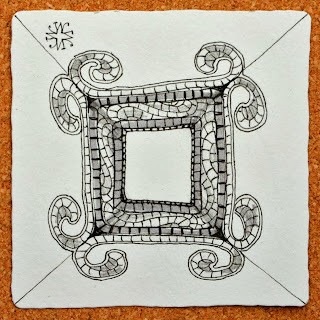 Every Monday morning on this blog i issue an open challenge to all CZTs and Zentangle enthusiasts! Follow this blog to receive updates! Journal Pages - A couple of pages in my journal exploring Reticular and Fragments. Check out our new blog! 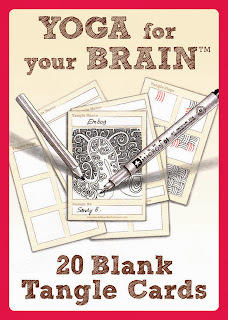 - Head on over to zentangle.com/blogs/blog for any furture blog posts! Moving . . . - The time has come to bring EVERYTHING I do under one roof . . . So please join me at Elizabeth's Creations Studio. Thank you for following me here! If you're NEW here head to "Getting Started" and "Tutorials"
Please grab the button for the Weekly Challenge (below) to display on your blogs! share the fun! please do not use the Weekly Challenge as a way to drive traffic to your website if you are not participating. not cool. i have set up a newsletter, sorta. You can subscribe to it HERE or in the Subscribe tab above! Or at the very least it will buy me a coffee. ;) mmmm. coffee. Love, Laura Click the TIP JAR to submit. Grab the Button, Share the love! The time! The time! Who's got the time?? All images on this site are property of iamthedivaczt unless otherwise stated.. Awesome Inc. theme. Theme images by dino4. Powered by Blogger.